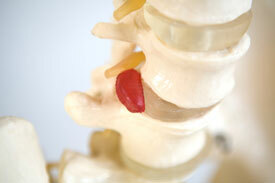 Chiropractic care is a natural and noninvasive way to access your nervous system through the spine. When wear or tear or the 3 T’s (thoughts, toxins, traumas) enter your environment stress gets placed on these nerves. Doctors of Chiropractic work to correct spinal, pelvic and cranial misalignments (subluxations). When misaligned, these structures create an imbalance in surrounding muscles and ligaments. Additionally, the resulting nervous system stress may affect the body’s ability to function optimally. We use a variety of techniques, including low-force options, to help patients find relief and experience functional improvements. As a primary form of Traditional Chinese Medicine, Acupuncture is recommended for stress relief and any type of pain control, from headaches to menstrual pain. Acupuncture is also highly effective in treating side effects of chemotherapy such as nausea or neuropathy. 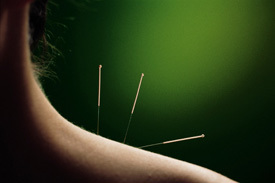 Acupuncture can help with allergies, eczema, stress and irregular bowel movements. Acupuncture can assist women during pregnancy as well from morning sickness and backaches to malpositoning of the baby. Children can also benefit from Acupuncture or Acupressure. For younger children who may not be able to lie still for Acupuncture, Dr. Leonard can use Acupressure instead. Depending on the type of essential oil, some can be diffused, used topically or even ingested. Dr. Leonard is highly knowledgeable about how to use oils properly to enhance their benefits. It’s not always easy ensuring that you’re getting optimal nutrition each day from food. If you are unable to get adequate nutrition from your daily diet, it’s important to be supplementing certain areas of your body to ensure that your health doesn’t deteriorate further through lack of nutrition. At Healing Path of Rockford, we will determine what dietary lifestyle changes you could benefit from to enhance your health and if any supplementation is appropriate. If you have questions about what you should be reading or drinking please don’t hesitate to ask. 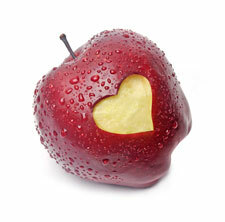 Better health can be achieved through our variety of services designed to promote health and wellness. Contact us today to schedule an appointment! People benefit a number of ways by combining Chiropractic care and manual therapy. Both therapies work together simultaneously creating a synergistic effect resulting in much faster recovery time. Correction of one’s structure often occurs more easily and with less discomfort. The positive results of Chiropractic care lasts longer when muscle tension is released, which might otherwise pull one’s structure back out of alignment. Therefore it is easy to see that Chiropractic and massage therapy compliment each other. The bottom line is that Chiropractic and massage therapy are compatible forms of health care that share the goal of your total well-being, not simply an absence of illness. Both offer natural hands-on, drug-free techniques. They can be used as preventative as well as restorative therapies. When used in combination, they help you maintain your optimum health and enjoy life to the fullest!